Masottina was founded in 1946 in Conegliano, Veneto. It is an established family estate that crafts elegant and polished wines from both local and international varietals. 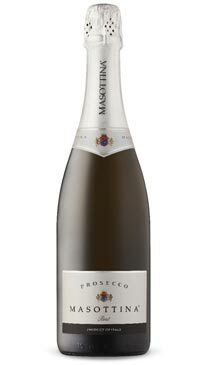 Masottina’s Prosecco Brut is peppy and elegant, with fine, persistent bubbles. It has a fruity hit of fresh citrus with floral notes, which combine to create a light, pleasant flavour. Perfect for social occasions, as a per-dinner aperitif and can also be enjoyed with fresh salads and seafood. Make any day this holiday extraordinary with the help of this Prosecco!